I always tell associates of mines that building a PC is as simple as stacking together a mess of blocks. Desktop computers have modular parts that include the hard-drive, memory, processor, and motherboard. Put those parts together you have, well, a PC of course. But I can't stress the importance of a properly cooled system. Improper airflow and cooling are enough to impede the overall performance of your computer, big time, resulting in overheated components. If you're a first time PC builder, but you're a bit confused as to how to manage system cooling. Fret not; it's not hard at all, apply few basic principles so you can achieve optimal airflow and cooling. AirFlow within your PC case should go as follows; cool air should be drawn in through the front of your PC while hot air is pushed out the back. In looking at it in depth, air that's pulled through the front causes the hot air to rise from bottom to top. Always follow this blueprint the ideal airflow within a PC case is front-to-back, bottom-to-top. Air comes in, and hot air goes out. The processor gives off more heat than any other hardware within your PC case, that's why it needs separate cooling that consists of a heat sink and fan. Now, most if not all graphics card also have a heat sink and fan attached and can also overheat of not adequately cooled, but when your processor overheats your entire system can shut down. The core responsibility of the processors heat-sink and fan is to expel heat directly away from your processor and right into the main airflow lane. In most cooling setups, you'll more than likely find the exhaust fan near the CPU which rapidly expels hot air through the vents grill. What Type of Fan are Needed? 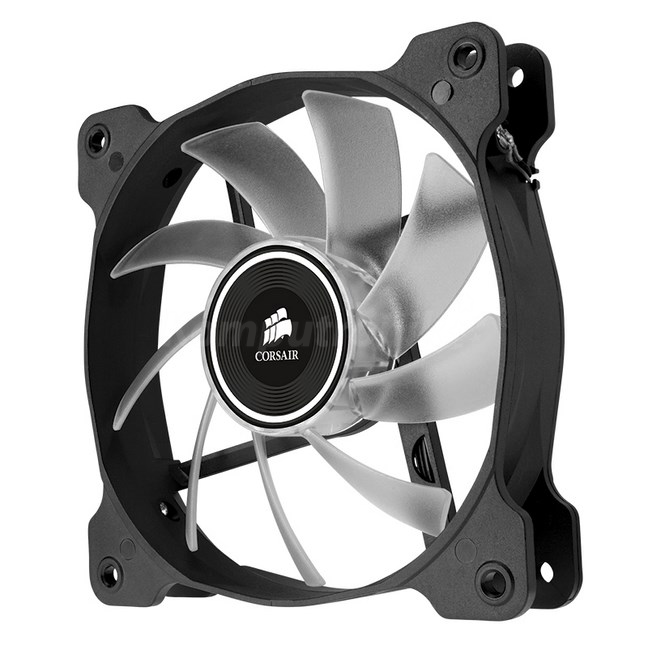 There are various cooling fans to choose from, as a system builder it's crucial that you make sure you size these fans in accordance to screw mounts within your PC case. These are 120mm fans, with RGB LIGHTS!!!! So stick to the question, what type of a fan is needed? Well, case fans are rated at maximum revolutions per minute, or better known as RPM. Faster fans move a great abundance of air, but the slower fan is much quieter. For me, I much rather have a system that has a high level of acoustics. Therefore I'll usually go with the slower but quiet fan. How you control airflow depends on how you mount your fans. The open side of the fan exhaust hot air out of your PC case, if you want to intake air, the fan should face grill side. Where you mount these fans goes as follow, the open side fan should be placed in the rear, while the grilled side fan should be in the front of the PC case. So Where do I Purchase These Cooling Fans? You can purchase cooling fans from any vendor that sells PC related hardware, from Walmart to Amazon, they all sell it, they are plentiful on the market. As cooling fans vary so does the price, if you want the 120mm fan decked out with RGB lighting and PWN controls, we're talking a much higher price point in the $80 range. For the most part, you can still enjoy a 120mm fan with lights and all for a fraction of the price retailing at just $17. I want to add before concluding this post dust build up within your PC is a hindrance to overall system performance. It's vital that you take the proactive approach and blow the dust off of any component that may be forming.